The QC-300 is an advanced digital readout with an enhanced, color touch-screen interface. It includes patented Measure Magic technology and is ideal for the measurement 2-D and 3-D features. 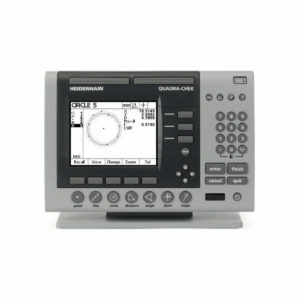 The QC-330 digital readout supports four axes: in addition to the linear axes XYZ it features an auxiliary axis Q solely for angular display. 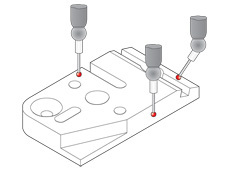 The readout is designed specifically for manual coordinate measuring machines and can capture two and three dimensional features with its measuring computer functionality. The large, color, flat-panel touchscreen enables simple operation with intuitive operator guidance, since in each mode only those functions actually available are offered for selection. The numeric keypad and the few basic function keys are located in ergonomically favorable positions. In addition to the flat geometric features, such as points, lines, circles, etc. 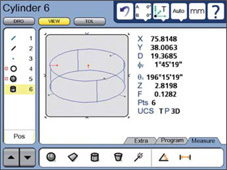 you can also use the QC-330 to measure 3-D shapes, e.g. cylinders or cones. The screen displays the feature in three dimensions. Colored highlighting of each masuring point lets you identify form errors and any filtered measured values at a glance. 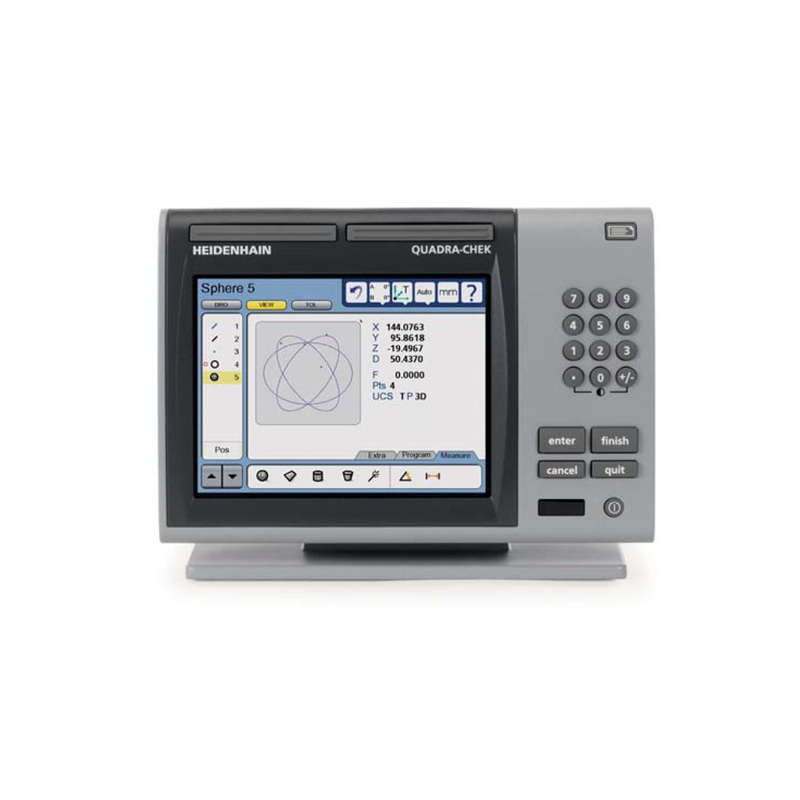 The QC-330 also permits 3-D position and form tolerances, such as flatness and parallelism. The QC-330 also supports you optimally while working with touch probes. 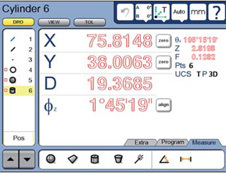 You can instantaneously call commerical probing elements (normal stylus, star stylus), as well as rigid and tiltable probing heads, all of which are managed in a libraray, via the touchscreen. During probing it automatically takes the direction of probing into account, as well as the length and diameter of the stylus. Even complex parts can be rapidly measured with the five availabe coordinate systems. The QC-330 probes the measuring points via the touch probe of the coordinate measuring machine. 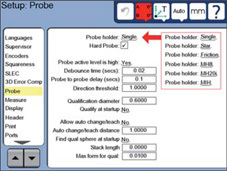 A triggering 3-D touch probe is connected directly to the evaluation electronics, and the measured value is transferred automatically. With a rigid probing element the measured value must be transferred by pressing a key. You can use the comprehensive input menu to define numerous parameters.